A giant sculpture made from confiscated knife and sword blades has been lifted into position in a Hull park as part of a campaign to deter knife-crime in the city. 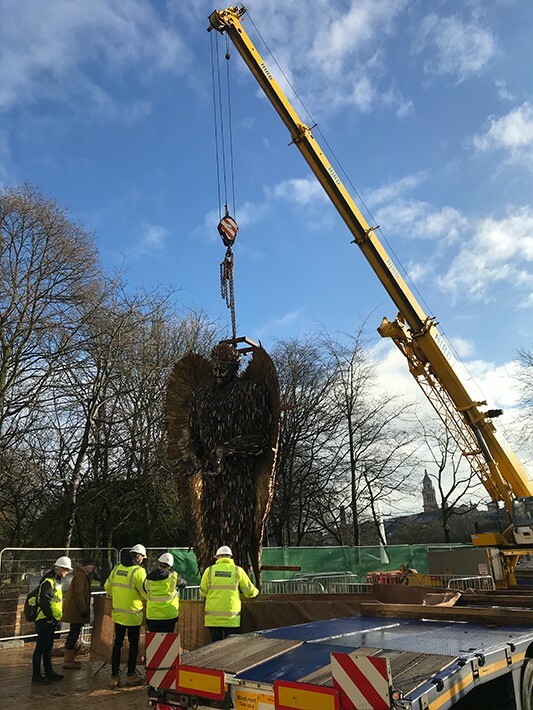 Hird’s 50-tonne Grove mobile crane was used to position the 27-feet-tall Knife Angel on a specially-constructed plinth in Queens Gardens, where it will stay for a month supporting a #NoMoreKnives campaign. 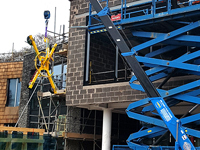 It was combined with a Valla 90E pick and carry crane to carry out a tandem lift to position the dramatic sculpture, supported by a Genie Z45/25 RT access boom, also supplied by Hird. 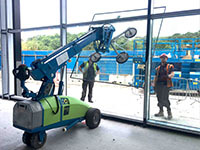 Hull-based crane lifting, powered access and vacuum lifting specialist Hird donated its service free-of-charge to support the initiative which has been organised by Humberside Police, Hull Live, and the RICH Foundation. The RICH Foundation was set up by Kayleigh Pepper, whose brother, Richard Pepper, was stabbed to death outside his home in east Hull, in 2015. Hull Live, the online news service of the Hull Mail, and the RICH Foundation, have launched the #NoMoreKnives campaign to try to persuade people not to carry knives in public. appearance in Hull. It is a powerful statement of the damage knife crime has inflicted, and will continue to inflict, if we don’t do all we can to prevent it. 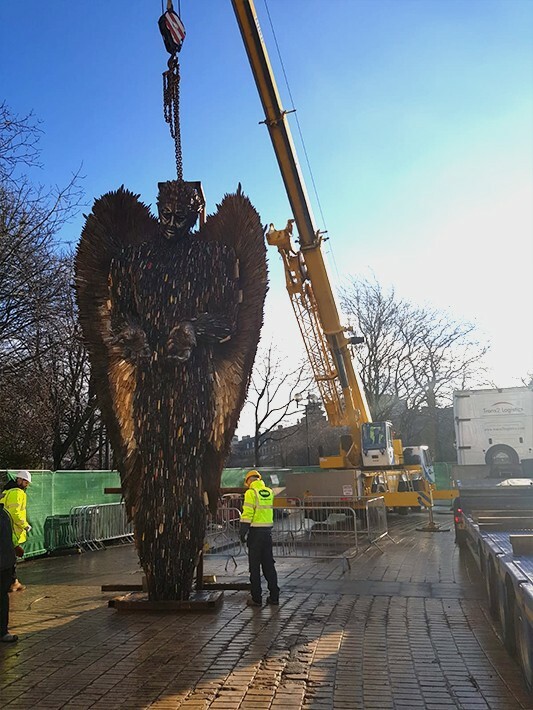 The Knife Angel arrived in the East Yorkshire city on the morning of Monday February 4 2019 from Liverpool, where the sculpture was previously on display. 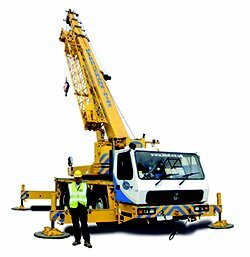 Hird’s Grove GMK 3050 mobile crane, which has a maximum safe working load of 50 tonnes, was ready, with a crane operator and an appointed person, to control the process of lifting the sculpture into place. 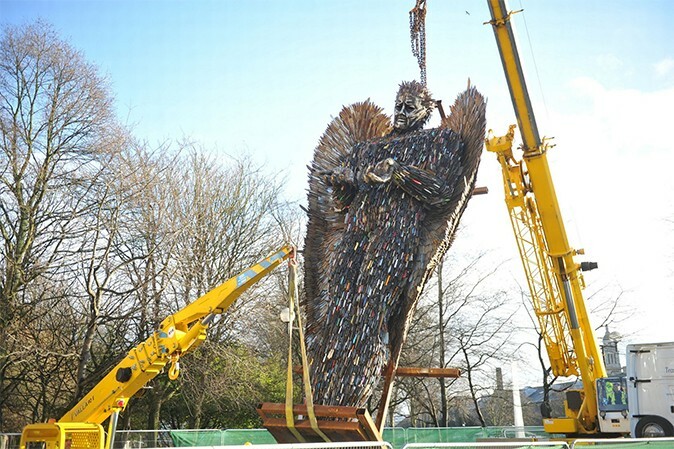 Thousands of people are expected to see the Knife Angel during its stay in the Hull, after which it will move on to other communities across the UK to seek to inspire people to take a stand against the carrying of knives. While the sculpture is on display, Humberside police will be visiting schools across Hull and beyond to encourage young people not to carry knives and to help police to crack down on knife crime. The Knife Angel was created in 2016 at the British Ironworks Centre and Shropshire Sculpture Park, at Oswestry, in Shropshire. 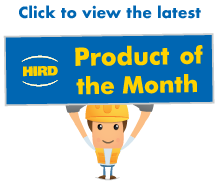 It is made from more than 100,000 blades, including knives and swords, supplied by more than 37 police forces across the UK. 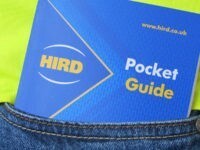 For more information about mobile crane hire and contract lifting from Hird, call 01482 227333 or email: info@hird.co.uk.